How To Stop A Dog From Chewing - Few Useful Tips For Preventing It? How can you prevent your dog from destructive chewing? How to stop a dog from chewing – if this question is bothering you a bit, then you’re not alone. I am sure we all go through this problem as dog owners. Especially, if we bring a puppy home, then we definitely need to do some amount of thinking and planning, right. So in this article, I will share with you few simple tips and tricks that you can use right-away to prevent your dog from chewing and destroying valuable house-hold stuff. This short video by Dr. Steve Weinberg is pretty good. He shares some simple tips and strategies on how you can better manage destructive chewing. We need to bear in mind chewing is natural to dogs. So, it is more a matter of training, guiding and re-directing them towards a more desirable behavior just like we would do for our child. Starting from a young girl taking her dog for a stroll in the park to a retired old man resting with his pet dog on the porch watching and enjoying the beautiful sunset. Everybody treats these humble animals as their best friends. Owning a dog can be easy. But not everyone is aware that their pets can also develop certain habits, say the bad habit of chewing household stuff. What we need to understand: it is a common and natural practice for puppies and dogs to chew on things. 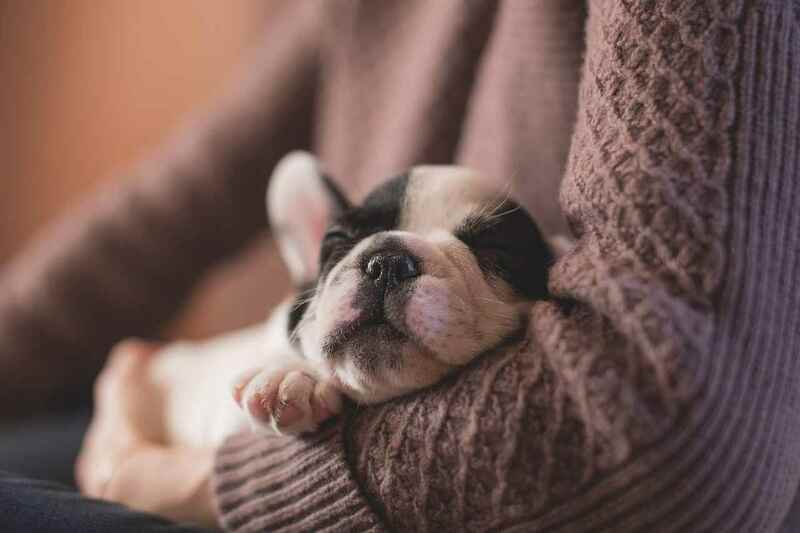 Little puppies, like babies, go through the process of teething which makes them chew on anything in the vicinity in order to save themselves from the irritation. Chewing is a natural behavioral activity for dogs, and it helps them to tackle the issue of boredom. It also helps in relieving anxiety and frustration due to lack of activities in their daily schedule. So it is very important to maintain a good schedule for your pet. And this will save it from developing ugly habits which could last a lifetime. With that in mind let’s have a quick peek as to why they chew? And how we can easily redirect them with a little bit of planning? Reasons why a dog chews and how to stop a dog from destructive chewing? Boredom: The dog needs to vent out its energy by running and swimming in abundance. Your pet requires to have a well balanced daily routine of going out and playing. This way they would not end up chewing your furniture to keep themselves sane. 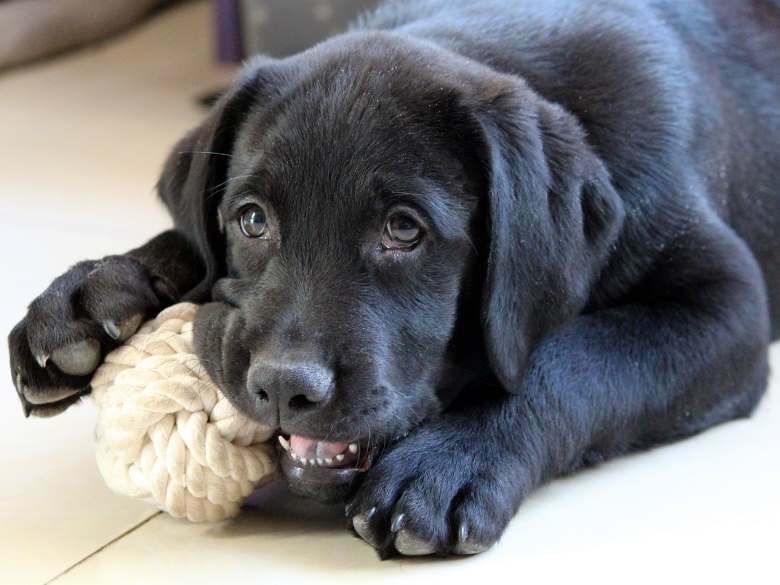 Puppy Teething: A pup starts to teeth around the age of 4 months and completes it by 6-7 months of age. During the teething duration, they would want to chew more due to the irritation caused by the incoming teeth. It is absolutely crucial to make sure that your pup does not get addicted to chewing during the tenure. Attention seeking: Dogs love spending their time playing with their owners. They are very affectionate towards humans and treat them as their best friends. Hence, to draw attention they end up hiding the television remote or the favorite pair of shoes, and in the process ends up chewing them. Unbalanced diet: Due to lack of calcium in the dog’s body and improper diet and care, they tend to chew on objects when they are hungry. This can be stopped by giving them a well-balanced diet which could even be their favorite dish. We want to keep our dear friend healthy that’s the first and foremost thing, right. At the same time, we want to help him or her to develop good habits. And if they have habits which are not so good, then we need to act as a support and help them to get rid of it. Exercise: On average, most dogs require a minimum of 30 minutes workout each day. Make sure your dog plays long-enough and drains their energy before heading home. This way they would not have much energy left to waste on chewing. Treats for the dog: Try treating the dog with toys that will keep them company. You can apply his favorite cream (with yummy flavors) over the toy and deep freeze it, so that the taste lasts longer. This way the dog will be busy chewing and licking the toy, rather than destroying your furniture and other useful stuff at home. Also, it is a very good idea to buy them some teething toys. Distressed Dogs: If you have no other choice but to leave your dog home-alone, try leaving them alone for shorter duration in the beginning. And gradually build-up the time duration. This way they will not get a sudden shock of staying alone. Make sure that he or she is gets a lot of physical exercise before you leave him/her. Why not leave them with their favorite toys when you’re not around. You don’t want them to get bored, right. #Note: Honestly, I prefer not to leave my pet alone but we all know many times we don’t have a choice. Diet: Make sure your pet has a well-planned diet and I would suggest that you maintain a protein chart for the month. Most dogs tend to chew food when they are hungry and low on calcium. In the process, they end up chewing and swallowing harmful items which may also cause a lot of trouble later. I hope you will find these simple tips useful, and it helps your dog to stop chewing. Good luck and thank you for taking the time and visiting my website.